Europe maybe tiny but with its diverse cultural heritage, fascinating history and spectacular scenery it has been a favourite for travellers since time immemorial. 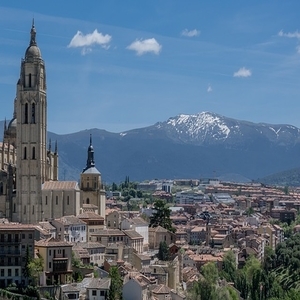 Visit the best that Europe has to offer on your trip to Spain and France with Akbar Holidays. Leaving Madrid you will travel south across La Mancha, stopping in PUERTO LÁPICE, a ‘manchego’ village reminiscent of the renowned novel, Don Quixote. We leave Granada and travel towards the Costa del Sol. After breakfast, a local expert guides you through the delightful city of Seville featuring the Cathedral and its famous Giralda. You will depart early in the morning towards Aragón. 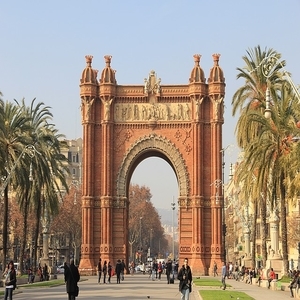 Today you will discover the beautiful Mediterranean city of Barcelona. 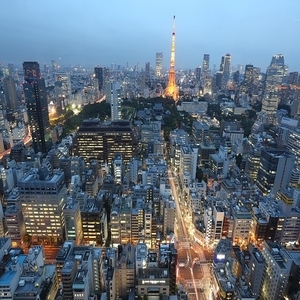 Your visit includes an informative city tour with a local expert. After breakfast, you will transfer to the train station to catch a high speed train from Barcelona to the French capital, Paris. City tour in : Madrid, Granada, Seville, Poblet, Barcelona, Paris. 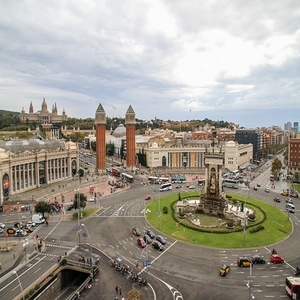 Evening Transfer: Debod Temple and Plaza de Espana/Gran Via in Madrid, Plaza de Oriente in Madrid, Albaicin in Granada, Historic center of Seville, Ramblas and Plaza de Catalunya in Barcelona, Latin Quartier of Paris. Ticket admission: Plaza de Toros de las Ventas in Madrid, Alhambra Palace in Granada, Poblet Monastery, Poble Espanyol in Barcelona, 2nd Floor Eiffel Tower in Paris. High Speed Train: Seville - Madrid. This morning, experience the city on a guided tour, which showcases the city’s history and culture. You will visit the beautiful Plaza Mayor with its broad and magnificent avenues and fountains and the Plaza de Toros de las Ventas, an iconic bull ring. Here you will learn about the tradition of “corridas” in the Bullfighting Museum. 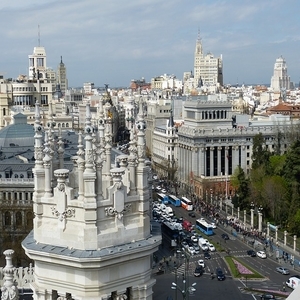 You will then take a walking tour of the Andalusia style Retiro Park and Crystal Palace. Enjoy the rest of the afternoon at leisure. At sunset we will take you to the Plaza de Oriente in the historic centre of Madrid, opposite the Royal Palace. Take your pick from the many restaurants serving varied cuisines (Indian, Middle Eastern and Spanish). Leaving Madrid you will travel south across La Mancha, stopping in PUERTO LÁPICE, a ‘manchego’ village reminiscent of the renowned novel, Don Quixote. 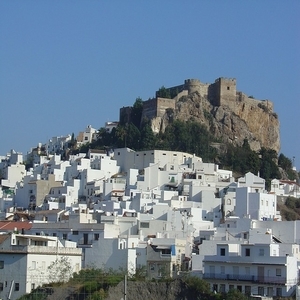 You will enter Andalusia through Despeñaperros and arrive at the historic city of Granada. In the afternoon, visit the immense Alhambra Palace, with entrance and local guide included, and its beautiful Generalife gardens, built in Moorish times. 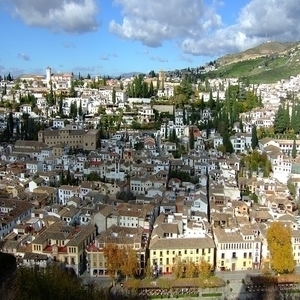 Later, enjoy an evening transfer to the Albaicín of Granada, a World Heritage site along with the Alhambra, where you can enjoy dinner in a restaurant in the narrow winding streets of this captivating Medieval Moorish quarter. You will also have the chance to attend a flamenco dance show and the traditional neighborhood of Sacramonte. We leave Granada and travel towards the Costa del Sol. The first stop on your journey is MALAGA with time for a stroll in the historic centre with its cathedral and the Picasso Museum. After this you will continue along the coastal motorway with beautiful views of the Mediterranean. Enjoy lunch at PUERTO BANUS, in sunny Marbella, one of the most beautiful seaside resorts in the world. In the afternoon continue through the hills and their stories of bandoliers until you come to RONDA, the stunning mountaintop city famed for its Roman Puente Nuevo. 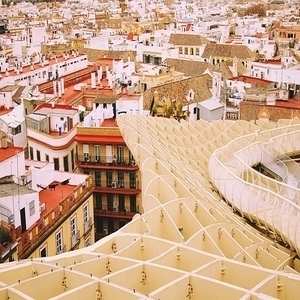 Your day’s trip ends in the Andalusian city of SEVILLE where you will arrive at the end of the afternoon. After breakfast, a local expert guides you through the delightful city of Seville featuring the Cathedral and its famous Giralda, the banks of the Guadalquivir river, the popular neighborhoods of Santa Cruz and Triana and the beautiful Plaza de España. In the afternoon, you will be transferred to the train station. Travel for 2 ½ h on a high-speed train to Madrid that takes you through picturesque Andalusian and Castilian landscapes. 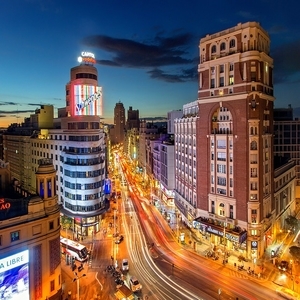 You will arrive in Madrid later in the evening and check into your hotel. 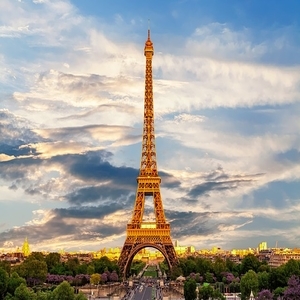 On your arrival in the City of Lights you will transfer to the hotel. At the end of the evening, we provide transfer to the Montmartre district. This neighborhood is known for its painters, artists, and its cabarets. Sit down to dinner and enjoy a magical night. You can choose between Indian, Chinese, French and American cuisines. We will ascend by cable car to the hill and admire the spectacular view of Paris from the top of the Sacre Coeur. At sunset enjoy an Indian dinner in the historic Latin Quarter, a bohemian neighbourhood on the left bank of the Seine.